Beauty, Style and Grace take over with the White Japanese Akoya pearls and the Sterling Silver Earrings Setting. 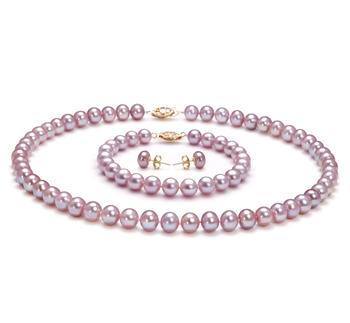 The 7-8mm White Pearl’s size makes for a comfortable all day wear for all ages and occasions. 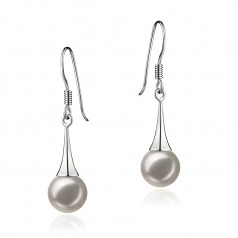 With an equally shared AAA shape and Luster the Japanese Akoya Pearl earrings take on the near perfect grading and play the .925 Sterling Silver Length to a glistening natural and appeasing look. 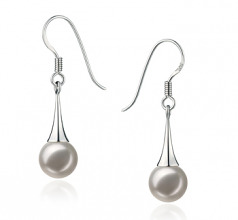 The dramatic length of the fishhooks adds a bit more length to the overall engaging and intense design of the sterling silver earrings. The overall look and design of these magnificent earrings make your wardrobe a new and wonderful playground of possibilities. Show only for "Sandra Earring Set"